Sanders proceeds to state that the “political revolution” (rather exaggerated) had commenced “to transform America and that revolution continues.” Such wishful thinking can only assume form in the guise of a genuine electoral force, rather than egging Hillary Clinton from a well closeted behind. Having conceded to Clinton in the primary race, and his failure to net the number of delegates and super-delegates necessary to net the presidential nomination, Sanders proceeded to accept such mathematics as a definitive conclusion. 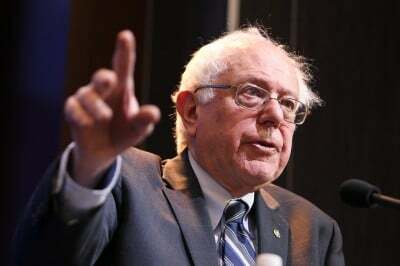 Well Sanders might say that his rival had won the nomination process for the Democratic party; that was no reason for the Vermont senator to assume that he could not take that force of creation out of the sewer of major party politics and create a parallel force. Since the primary in New Hampshire, the US has borne witness to exactly that fact, a rumbling indignation for reform. This gesture of abandonment is profound. The Sandernistas and those loosely associated with shim as a genuine source of change had come up with a figure who disassociated himself from politics as personality. The reality is that millions were readying themselves to vote for him come November precisely because he was Sanders, meshed with the ideas of basic social democracy. Rather than admitting, in a time characterised by anti-establishment politics, that Clinton had to move over or be damned electorally, Sanders gravitated to the siren call of the establishment. As he put it rather unconvincingly, the battle with Clinton involved disagreement about a “number of issues,” because that is “what democracy is about.” It would have been an even greater exercise in democracy to run as a third presidential candidate. If one were to be generous, Sanders has provided a truly foolish reading of the electorate, one that assumes character and idea to be divorceable matters. Clinton always hoped that to be the case; her character does not have much for going for it. The demerits for both the presumptive nominees, Democrat and Republican, are considerably heavier than that of Sanders. The Clinton approach from hereon in is one of masquerade: appropriate the Bernie Sanders aura, give the impression that the party has somehow miraculously moved leftward, and snap up a stash of votes come November. The approach of the Republicans will be self-defeating, clinging to the fiction that the Clintons are somehow progressive. This ignores the fundamental fact that Bill Clinton, during his presidential tenure through the 1990s, made parts of the GOP strategy plan relatively progressive by way of comparison. Stunned by this embrace of hard right ideas, the Republicans would be kept out of the White House till 2000. The Sanders chapter in US political history gives us an enduring reminder about candidates and their campaigns. Be wary of any language of change that is merely the language of promise. Keep in mind that US politics remains a “binary” choice, an effective non-choice bankrolled by financial power. The best way Sanders could have thanked his individual supporters and voters would have been representing them to the end. He preferred to haul them over the coals of political surrender.